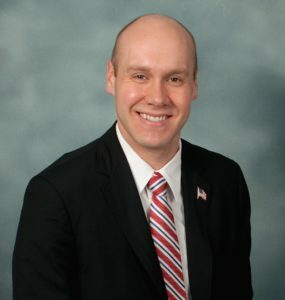 UPDATED 3/7 10:09pm: Devin Carney, a Republican who ran unopposed for a second term in 2016, has announced his intention to seek a third term as State Representative for the 23rd General AssemblyDistrict, which includes the towns of Lyme, Old Lyme, Old Saybrook, and coastal Westbrook. But this November, Carney will be challenged by Old Saybrook resident and Democrat Matt Pugliese. A lifelong resident of the district, Carney graduated from Old Saybrook Public Schools and currently lives in Old Lyme. He is the Ranking Member of the Transportation Committee, meaning he is the highest-ranked House Republican on the committee, and he serves on the Environment Committee and Finance, Revenue and Bonding Committee. In addition, Carney chairs the bipartisan Clean Energy Caucus, was the founding House Republican of the bipartisan Young Legislators Caucus, and serves on both the bipartisan Tourism Caucus and bipartisan Intellectual and Developmental Disability Caucus. 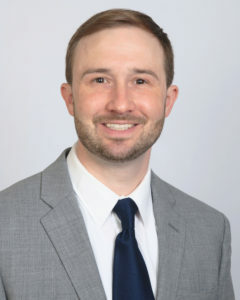 He has also served as the Connecticut House Republican State Lead for the National Caucus of Environmental Legislators. Over his first two terms, Rep. Carney says he advocated for those with intellectual and developmental disabilities, seniors, tourism, small business, local public education, and improving I-95. In 2015, he voted against the second largest tax increase in Connecticut’s state history. In 2017, he voted against the SEBAC agreement, but supported the bipartisan budget compromise in October. Pugliese’s community involvement includes Old Saybrook’s Economic Development Commission since 2015, of which he was recently elected Chairperson. He served on the Board of Directors for the Middlesex Chamber of Commerce for two years. He served as the co-chair of the Community Foundation of Middlesex County Live Local Give Local 365 initiative when it was launched in 2011. In 2012, Pugliese was named to the Hartford Business Journal’s “40 Under 40” for his professional work and civic involvement. Carney’s community activities include serving on the Board of Trustees at the Katharine Hepburn Cultural Arts Center and the Board of Directors at Saye Brook Senior Housing. He is a member of both the Old Saybrook Chamber of Commerce and the Lyme-Old Lyme Chamber of Commerce, a lector at Grace Episcopal Church in Old Saybrook, and serves on both the Old Lyme Republican Town Committee as a member and the Old Saybrook Republican Town Committee as an honorary member.